The Nigeria vice president, Yemi Osinbajo, has said that over 50 million Nigerians out of N180 million people have no access to electricity. Osinbajo said the present administration is taking steps to improve access to electricity. 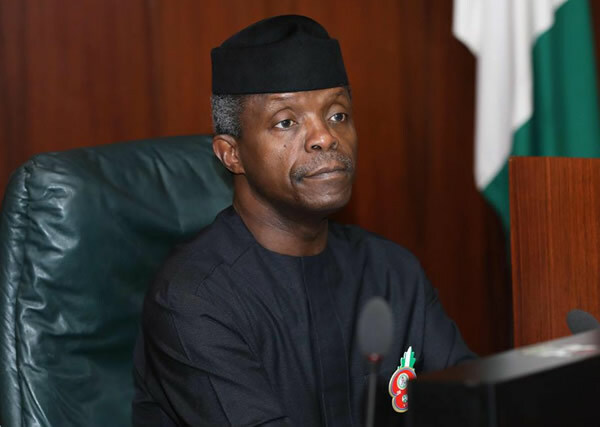 Speaking at the Financial Times Africa Summit in London, Osinbajo said, the President Muhammadu Buhari-led administration has embarked on measures including the provision of solar power to 20,000 homes in rural villages. He said: "The opportunities in our power sector are immense, especially as we open the sector further." Reports has it that the vice president had debunked his plan to run for presidency in 2019. The vice president said the thought of running for presidency in 2019 has never crossed his mind. He also noted that attacks by militants in the Niger Delta region no longer posed a threat to the Nigerian economy. Nigeria vice president, Yemi Osinbajo, has said that over 50 million Nigerians out of N180 million people have no access to electricity.